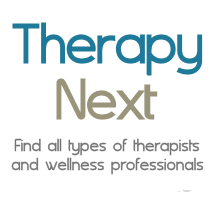 What can you do to improve the chances that couples therapy is worth the time and money you put into it? In other words, what makes marriage counseling work? Of course you need the help of a skilled marriage therapist, but there are several things you can do to help make your marriage counseling a success. Of course you want your partner to change things, or you wouldn’t be looking into marriage therapy, but working on yourself in the presence of your partner is probably the most effective way to have a positive impact on your relationship. Focusing on what your partner needs to change simply doesn’t work. Ultimately you don’t get what you want. And what is it that you want? Recalling your early expectations in the beginning of your relationship will help you visualize what it is you want – your ideal picture of the relationship. How do you behave as a partner in that perfect world? What are your characteristics? Looking now at the present, your real-life situation, what are your actual attitudes and behaviors? What hinders you from being that “better person”? Where are your weak points? When you’re stressed, do you try to control, nag, or whine? Do you avoid and withdraw? The answers to these questions will make up your goals in therapy. Don’t worry, a good marriage counselor will make sure that each of you is doing work, not just you! This tip actually might save you months and months of therapy time: Try to get to the “feelings behind the feelings.” Often what we feel on an obvious level in a relationship is anger, annoyance, resentment, and judgment for the other. Try to dig deeper and get in touch with what triggered those thoughts and feelings. Did you have an open heart and became disappointed? Do you feel helpless, embarrassed, or hopeless? Are you worried about being controlled? Are you afraid to trust because of past hurt? If you notice that you feel resistant to having a cooperative attitude, this might be a hint that you’ve been avoiding certain thoughts and feelings. Maybe there is some grudge or resentment you’ve never been able to admit to yourself, let alone express openly. Once you get the courage to be more vulnerable about “what’s beneath” in front of your partner, it will likely create empathy and compassion in them. Your therapist will help make sure that the session is a safe space to do this.